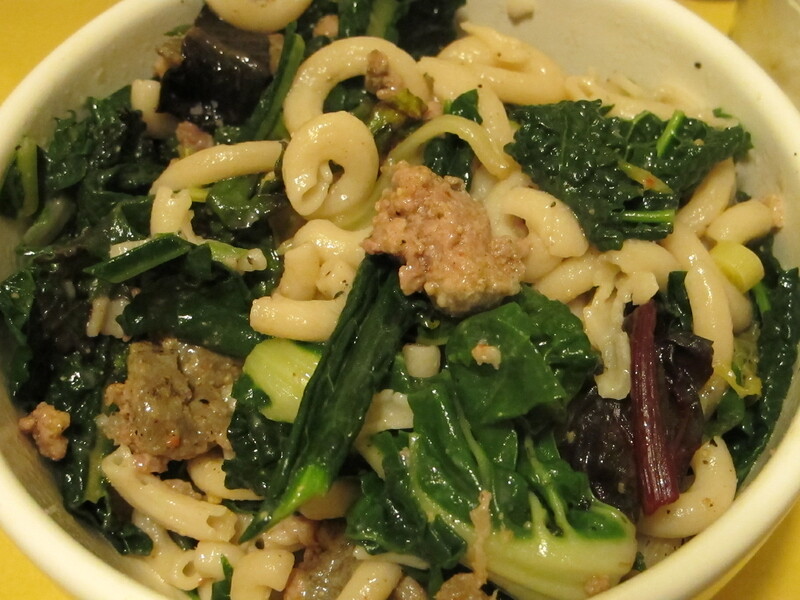 This pasta dish is the complete package – healthy, creative greens with a spicy, spontaneous sausage zing. It’s something I look forward to and it’s nearly impossible to get tired of. 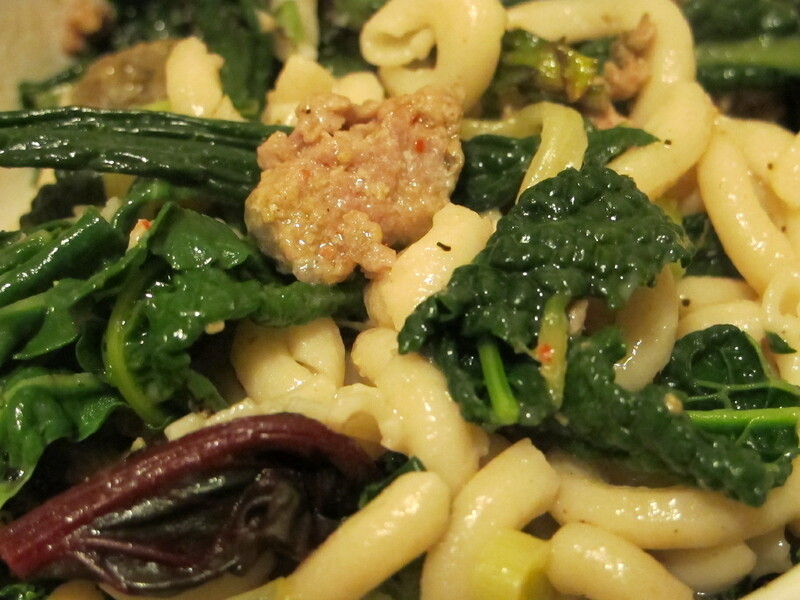 Saddle up to spicy sausage and greens, my friends! It satisfies. This is a simple dish. At this point in our relationship I’m assuming you expect nothing less. Right? But, please don’t confuse simple with bland. This is transformer pasta, so much more than meets the eye. 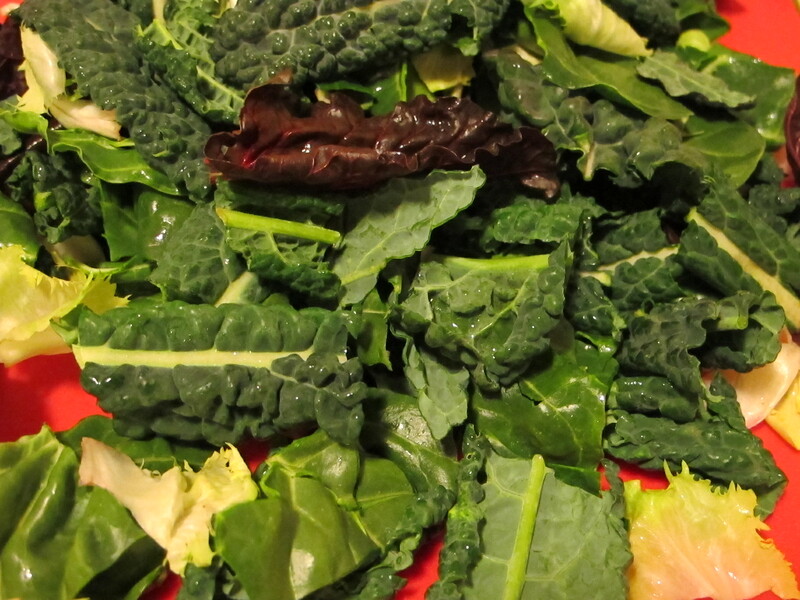 Perhaps you see greens and you think…”Meh, greens.” Not so fast! In this dish the greens really matter. The type you choose will determine not just your cooking method, but the ultimate texture and flavor. Wilty = Arugula. A delicate leafy green with a peppery and pungent zip. No need to cook before adding to hot pasta. Sturdy = Kale, chard or collard greens. Hearty and healthy. Chop and saute before adding to hot pasta. Hefty = Broccoli rabe or rapini. Bitter with a nutty bite. Roughly chop and add to boiling pasta water for the last few minutes of cooking and drain together. Then there’s the sausage part. You get to squeeze it out of the casing and into a heavy pan slick with hot oil. It is simultaneously disgusting and delightful. You’ll see. When it all comes together, this pasta is a hunky dream boat of a dish. Make a big pot and serve the ones you love. Or bring it to your office and eat it for lunch 4 days in a row. Or both. You really can’t go wrong. 1.) Bring a huge pot of salted water to a boil. Add the pasta. 2.) Meanwhile, heat the oil in a large saucepan (big enough to hold all the ingredients) over medium heat. 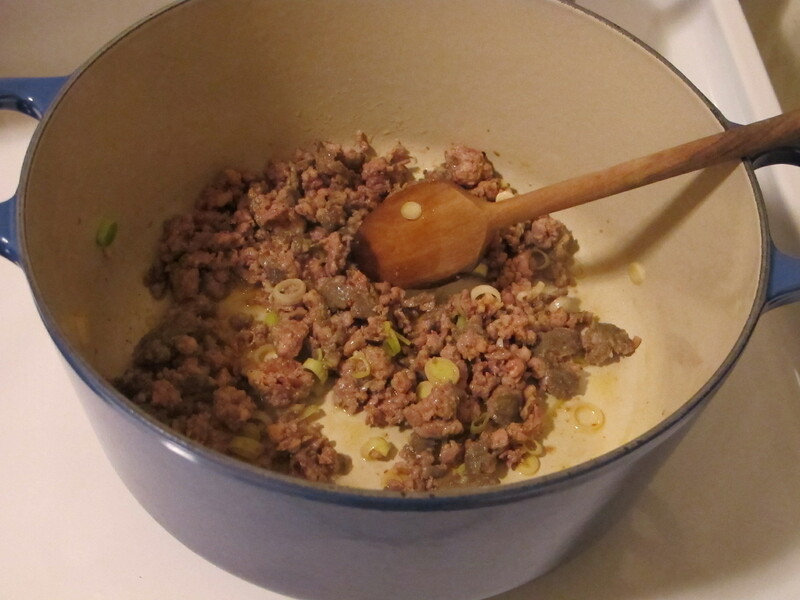 Add the sausage and cook, breaking it up with a spoon, until it’s no longer pink, 5 to 6 minutes. Stir in the garlic, red pepper flakes, and salt and cook for a minute. Remove from heat. Hefty greens! About 3 minutes before the pasta cooking time is up, add the broccoli rabe. 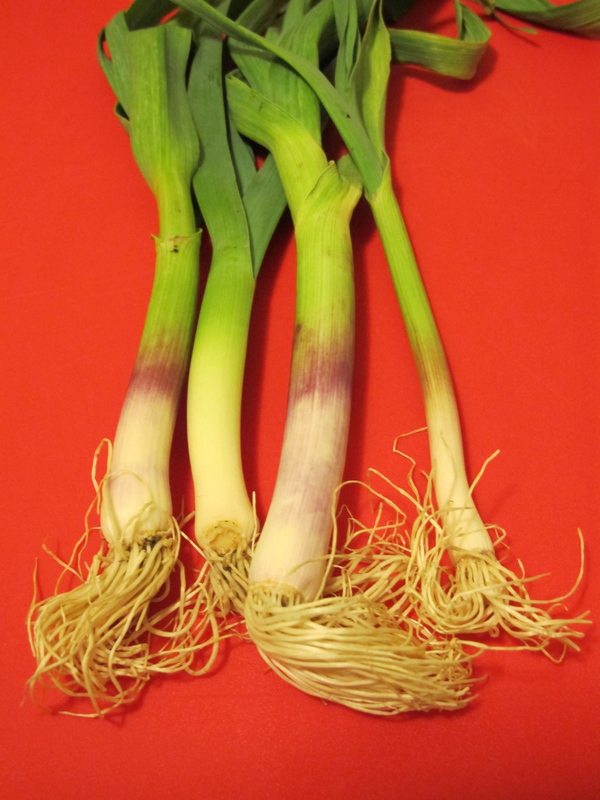 With a stir or two, the rabe should wilt and cook alongside the pasta. Drain rabe and pasta together and add to the saucepan with the sausage mixture, tossing to coat evenly and drizzling in the pasta water if necessary. Sturdy greens! When the sausage mixture is done cooking, remove from the saucepan with a slotted spoon, leaving the oil in the pan. Add greens to the saucepan with the oil from the sausage and cook until soft. Remove from heat. Add the sausage mixture back in and then toss with hot pasta, adding pasta water if needed. Wilty greens! Toss the hot pasta with arugula and sausage mixture. Drizzle with just enough pasta water and gently stir to incorporate. 4.) Shower pasta with freshly grated cheese and eat right away.